Commercial Carpet Cleaning in Perth, Western Australia. Don’t let just any old carpet cleaner loose on your precious rugs, be aware! Rug cleaning is a discipline that employs the correct cleaning techniques, to clean and protect even the most expensive and delicate rugs. Rugs can be made from many different fibres types such as wool, silk, cotton, rayon/viscose, acrylic, polypropylene, jute; we have even seen leather rugs. All these rugs have their own characteristics and sensitivities when it comes to cleaning. What this means, is there are various methods of cleaning and restoration techniques best suited for your rug. A good rug cleaning company will know this, and the upholstery cleaning technician will determine the correct process, if not, poor cleaning results can occur or worse your precious rugs may be ruined, and believe me this does happen! When assessing the rug for cleaning, the technician must determine the construction of the rug. Whether it be woven or tufted, the technician must then identify the fibre type, prior to cleaning. If there is no label on the back of the rug, advising the fibre type, a process to determine the fibre, called a burn test, should be conducted on a small sample fibre. Next, the rug-cleaning expert should then conduct a colourfast text to make sure that the dyes in the rug are stable, to minimise the chance of dye bleed. If this important step is missed, it could lead to damage during the rug cleaning process. Your rug cleaning experts check the rug for pre-existing damage such as insect, mould, dye bleed, colour loss, urine and structural damage. Once this thorough inspection is completed, the rug cleaning company can choose the most appropriate cleaning process for your rug. The process may include full rug emersion, washing in a rug wash pit, extraction cleaning or low moisture shampooing. This is where Breathe Easy Carpet Care can help. To be honest, there are only a handful of properly trained and equipped rug cleaning technicians in Perth. Breathe Easy provide knowledge and expertise and most importantly, peace of mind, for all your rug cleaning requirements. Over our 25 years in the industry, we have come across many types of rugs, some expensive and some not so, but equally sentimental to the owner. Breathe Easy offer free advice on the process required for maintenance rug cleaning or specialist stain removal treatments. Specialist stain and odour removal may be required when a rug is contaminated by animal urine. Upon assessment and depending on the level of contamination, it may be our recommendation to replace the rug, as at times, the cost of restoration out ways the cost of replacement. In all cases and especially animal urine cases, Breathe Easy will advise the cost to maintain and restore your rugs providing realistic expectations prior to commencing any cleaning, so you can make an informed decision about whether to proceed. 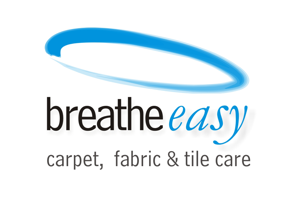 Business Address: 109 Marden Grange, Aveley, WA, 6069, AU | Tel: 0419 923 167 | Email: info@breatheeasycarpetcare.com.au. | Business hours :08.00 a.m. to 8.00 p.m. Monday to Friday, 08.00 a.m. 5.00 p.m. Saturday | Rated 4.7 / 5 based on 32 reviews.